What is handmade? The Williams Knife Co. debate. If you’re the average knife maker then you’ll find yourself following knife forum threads from time to time. About a year ago there was an interesting thread on Bladeforums.com where a discussion opened when someone accused Williams Knife Co of selling pre-made knife blanks purchased at knife supply sites as something he had made. There’s nothing wrong with that, but several posts claimed the Chris Williams knives were being touted as purely hand crafted and / or hand made. Over time, the Williams Knife Co has deleted key words from the website and his testimonials section reads, “Each knife is hand-crafted with an emphasis on functionality and finesse.” So what is the definition of hand crafted / hand made? hand·made – made by hand, not by machine, and typically therefore of superior quality. hand·craft – make skillfully by hand. This is a tough question to answer, especially in the knife world. Each knife maker seems to have their own opinion on what “handmade” means. The guys who forge don’t like the stock removal guys and the stock removal guys don’t like the guys who put handles on blanks or sell knife kits and all of them say their knives are “handmade”. 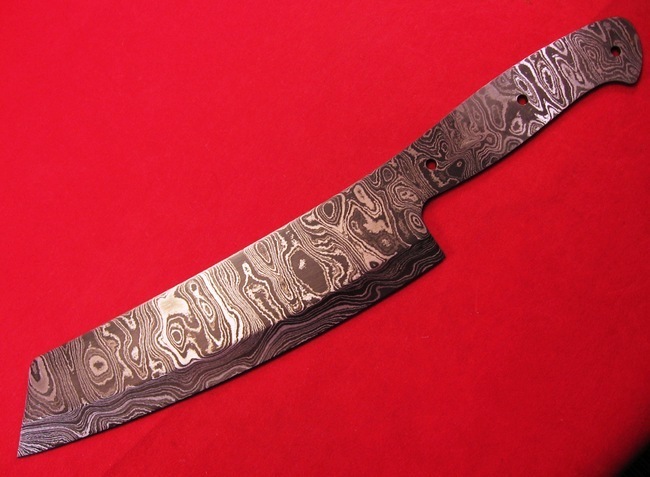 There are unspoken rules in knife making and it seems Chris Williams broke one or more when he started selling his handled knife blanks at custom knife prices. Is this wrong? Or is this just an ingenious way to produce a whole bunch of pretty knives without having to grind them out? As a knife maker myself I applaud anyone who can make a living from the craft. It doesn’t hurt to have more knife makers in the world. The question at hand seemed to be: Does the Williams Knife Co. mislead its customers into believing he actually forges, shapes, grinds and sharpens the actual knife blade? It’s blurry. He doesn’t say he does and he doesn’t say he doesn’t. Williams admits he uses CNC shops for his oyster knives and possibly others when he finally responds to the negative threads. He also doesn’t come out and say he does make the knife and it’s clear that many of his knives are pre-made blanks. I’m not sure it really matters. If the blade is good the end user will appreciate it and the Williams Knife Co. reputation will grow. If the Williams Knife Co is selling poor quality blades with pretty handles on them then he won’t be in business long. As a buyer you should know what you want out of the knife and ask the knife maker the right questions. Ask if they forged the blade if that’s what you’re looking for. Ask them if they shaped and ground the blade by hand or if you don’t care are happy with a knife kit then that’s fine too. I’m sure the knife maker will be happy to give you his or her definition of “handmade” and I think it’ll be fine as long as it matches yours. Pat Ankrom loses shop in fire.